Beautiful, beneficial, and brief allegory. Her lord, the father of her betrothed, has promised to protect her. For seven years she has lived in his care, enjoying the love of his son. Now they leave for battle, warning her that if she leaves, she will die. But then the stranger comes. He claims that she can only live if she leaves. That her lord's promises are false. That he alone can protect her. Whom should she believe? What will be the consequence of her choice? Extraordinary love and forgiveness are shown. Honesty and trust are understood to be good. None, except that the story accurately reflects spiritual truth. The sound of battle is described. Characters are beaten. A character is condemned to death. None of it is descriptive. 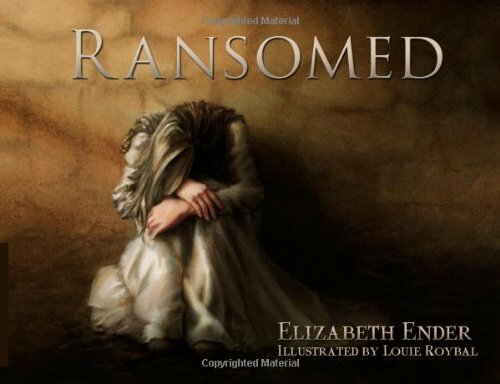 A beautifully illustrated, powerfully written, allegorical story, Ransomed is suitable for both genders and all ages, though it may be most influential for teenage girls. The story itself is very real, without compromising any allegorical truth. Through very few words, Elizabeth Ender creates a strong concept of the characters and their relationships. Though the story takes little time to read, it will make your heart sing with gratitude to our Savior King.